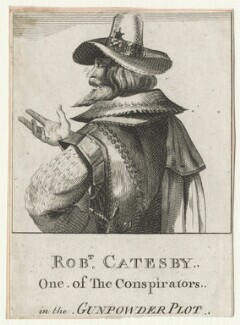 Robert Catesby was born in Lapworth, Warwickshire, to a strongly Roman Catholic family. 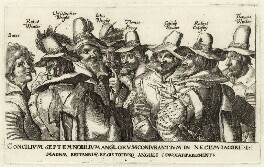 In 1601 he sided with the Earl of Essex in the latter's doomed rebellion. 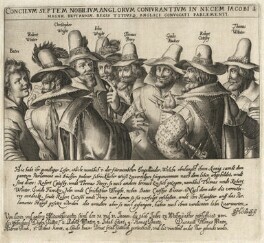 He was wounded, imprisoned and fined £3,000 for his part in this affair. 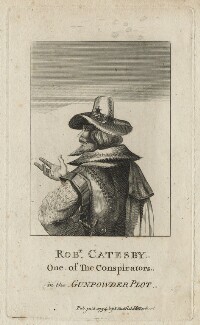 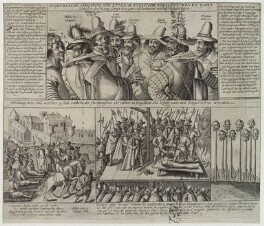 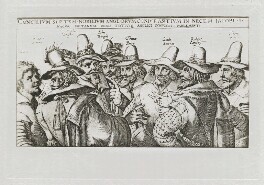 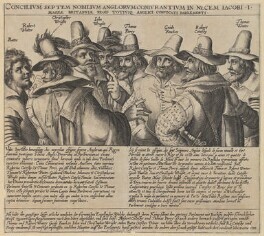 Catesby was the leader of a group of Roman Catholic conspirators (the most famous of whom was Guy Fawkes) who endeavoured to blow up the Houses of Parliament on 5 November 1605. 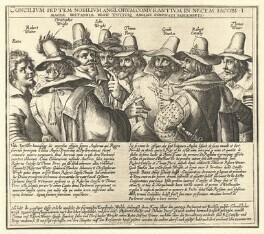 The plot was uncovered, the gunpowder defused, and Catesby was shot three days later.